Since arriving at our new yard, he has become extremely accident prone, coming in with a new cut everyday. This isn’t a huge problem as it means he’s having fun playing and being a horse. However, after giving himself a nasty cut on his leg, I think we might need to do something about it. I’m not too worried about the cut at the moment. Its fairly deep, but not near a joint and the leg has only swollen down the inside of the leg, which is normal for him. He is still out 24/7 with his leg covered in sudacream as being out and walking around is more likely to help the swelling go down and wont stop the wound from closing. He did it on Thursday and if doesn’t look any better tomorrow I will have to think about getting a vet out for some antibiotics. So in light of this most recent injury. 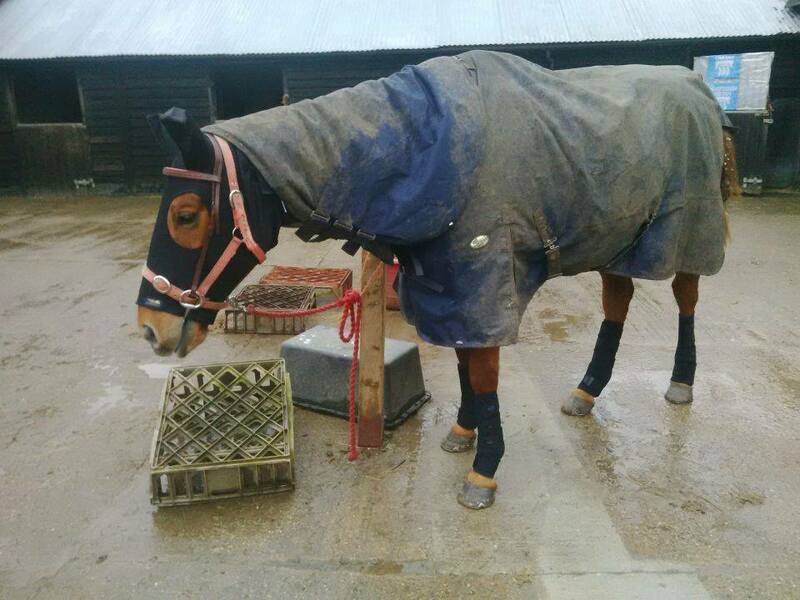 I’m starting to think whether he needs to be wearing turnout boots of some sort. 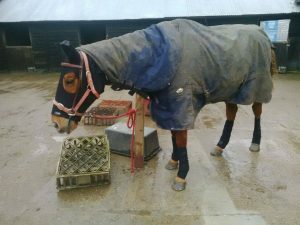 I do have plenty of boots for him, including a set of premier equine turnout boots and 2 sets of woof wear brushing boots. However, my issue is, he can’t really wear boots 24/7 in the field, especially with all this wet weather we have been having. So while I do some research into what is the best thing to do for Scottie’s legs (and hope Scottie’s leg is ok as we are meant to be going to a show next weekend!) do any of you use turnout boots? Do you have any suggestions for horses who are out 24/7? I’ve used turnout boots for Brevan, but I don’t think there are any out there that you can leave on 24/7. Would you be able to just put them on overnight? Assuming that that’s whenhe’s normally doing the injuries.